Easy to use, flexible to operate, low overhead and thrills customers of all ages, this "trampoline boat" is selling all over the world to entrepreneurs, resorts & water spots. Want to download our videos for your phone or Ipad to show others? Click to download the 3-Min Promo OR 30-Second Promo OR 15-Second Promo. 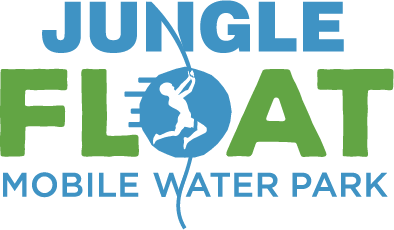 Jungle Float, the revolutionary, patented, award-winning floating design is available to bring to your area and offer adrenaline as a by the hour attraction, private party, a featured attraction for your resort, waterway, marina, lake/river or featured hotel attraction. Complete sales packages offered. This is your money maker and crowd pleaser. Who ever thought you might be leaping from a 12-foot platform down to an olympic-grade trampoline launching you as high as 20 feet above the water surface? The high dive. 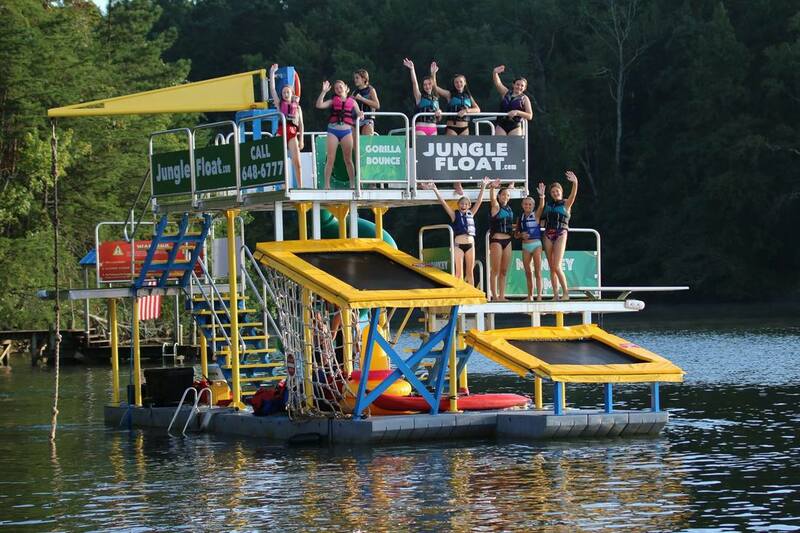 Gorilla's tall leap from a 12-foot platform allowing you to fall with no restraints out into the wind to a full 14-foot drop to the water. From a 6-foot platform, Jungle Swing takes you on a rope swing or create the military climb straight up and ring the bell -- a challenge for all! Heard about the new climbing wall add-on? Ask for it! Or look for it on quotes issued in 2019. It's on our newest! Jungle Float offers a variety of options including outboard engines 20HP, 30HP and 40HP. 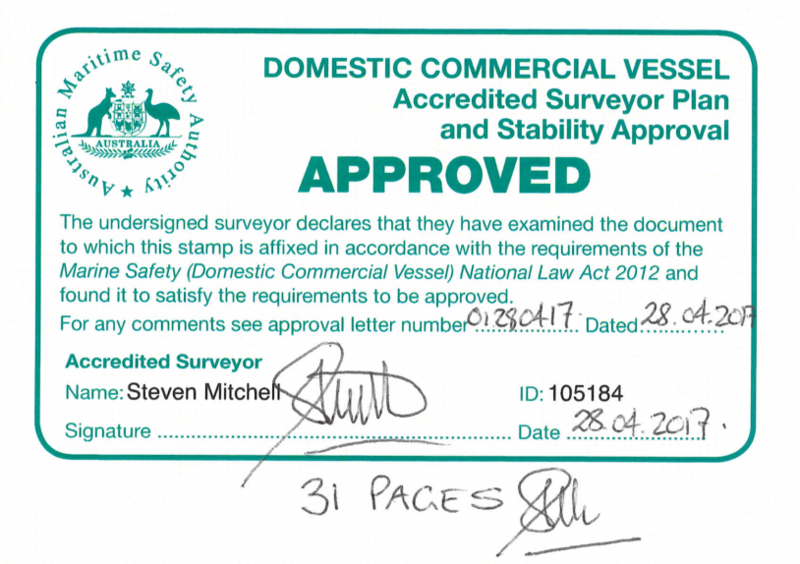 Many of our customers are located in lakes or streams that forbid the use of gas engines. Electric engines 10HP and 20HP are ample power and now offered. Request a quote. 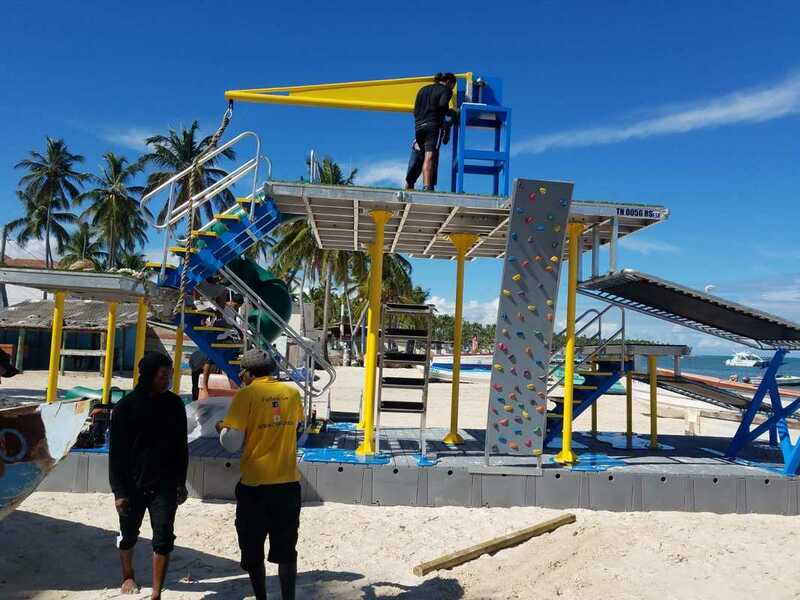 Displaying the new Rock Climbing Wall featured accessory as we install in beautiful Dominican Republic. Congrats, Jeffrey! ​ makes​ a Splash in Australia! Introducing the 2019 Jungle Float Sport! ​The world's first pontoon-based trampoline boat with active waterslide, 26' pontoons (or tri-toons) and superior aluminum design for performance.